Peter Bryer: Mobile Foresight: Battle of the brands. Will the Nokia brand name be Microsoft's next of Kin, or will there be a Halo effect? Battle of the brands. Will the Nokia brand name be Microsoft's next of Kin, or will there be a Halo effect? Patents, distribution, manufacturing, design, a fantastic contact network? What exactly was the icing on the cake for Microsoft in buying Nokia's handset unit? It could be the brand. In much of the developing world, the Nokia name remains a strong and trusted stamp of approval. While Steve Ballmer cannot even pronounce "Nokia" correctly, the brand name still means something to so many around the globe. Although Microsoft won't be using the Nokia logo on smartphones, it can use the brand on lower-end phones and could do some clever co-branding as it upgrades the developing world from dumb phones to smartphones. Each year when branding consultancy Interbrand releases their list of the world's most valuable brand names, Nokia is consistently ranked among the best. While I always found the values they assigned to brand names rather random and a bit suspicious, even if their calculations are in the ballpark, Microsoft got one heck of a deal with the Nokia brand. 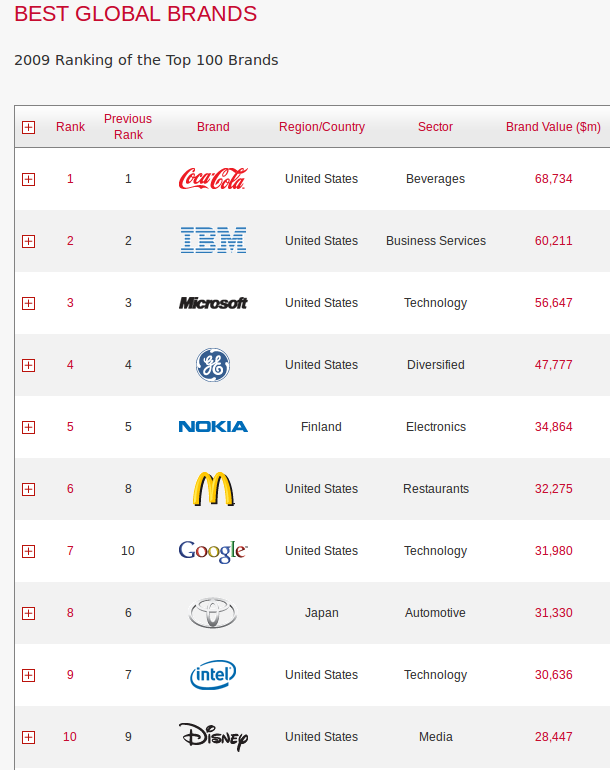 Not long ago, back in 2009, Nokia was ranked as the world's fifth most valuable brand. That year Interbrand placed a value of $35 billion on the Nokia logo: so, throw out all the chairs and patents, buildings and pens, and Nokia would still be worth $35 billion according to Interbrand. OK, that was 2009. Let's look at what's happening now. According to Interbrand's 2012 report, Nokia brand was the 19th most valuable brand on the planet, worth around $21 billion. This means someone has some explaining to do. How could Microsoft buy Nokia's handset unit for around one quarter of what the brand name is supposed to be worth? Either Interbrand or the Nokia board are way off on their numbers. Brand building takes decades in most cases. I was quite certain that an Asian tech vendor would come along and take over Nokia's handset unit for the attraction to the logo in developing markets. But unless a counter offer comes a long within the next few months, Nokia is to be a Microsoft sub-brand, a sort of next of kin. Hopefully for Microsoft, there will be a halo effect. European Mobile Crisis reaches a critical phase.